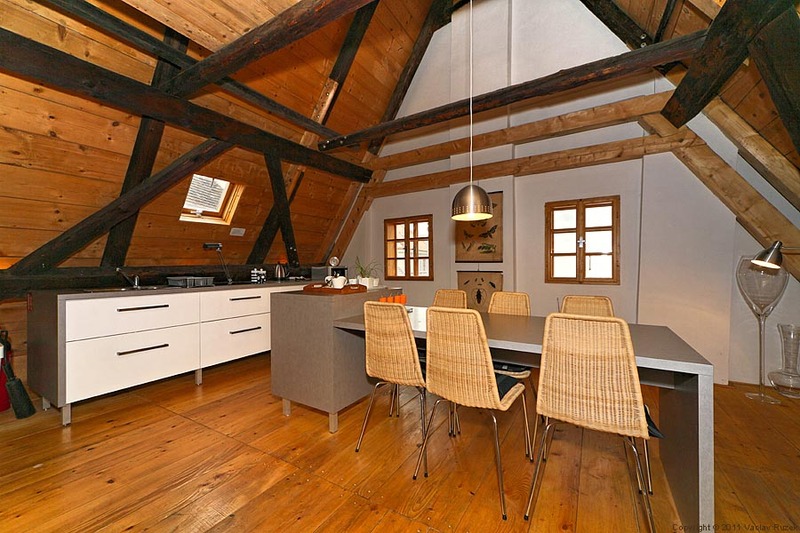 Apartments Soukenicka 44 on Soukenicka street are located in the historical centre of Cesky Krumlov in a gothic house with renaissance additions. 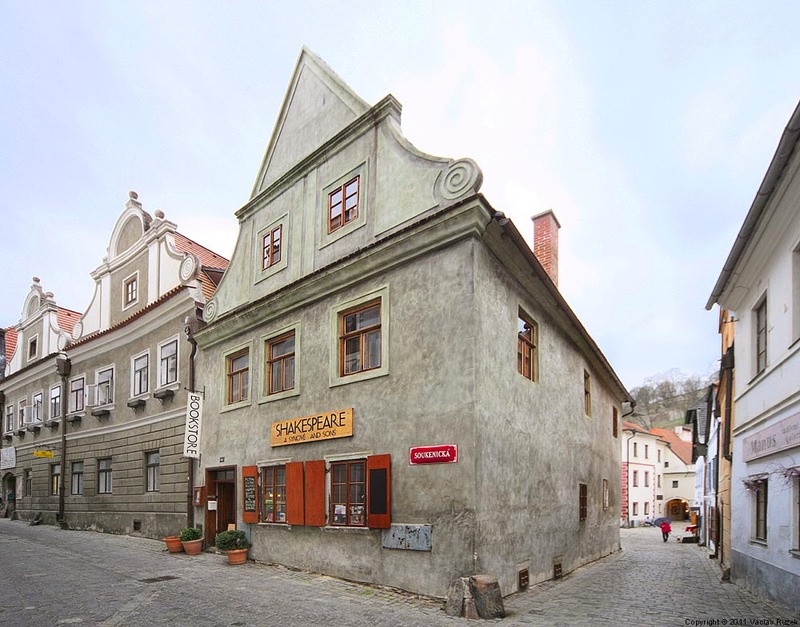 The house is a listed cultural monument. In the ground floor is located a bookstore specialised on books in English. 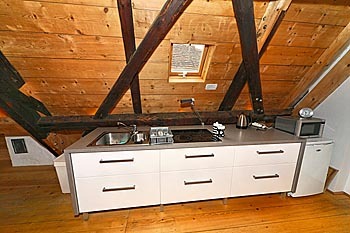 Apartment 1 is located in a remodeled attic nestled beneath a partially reconstructed renaissance roof over 500 years old, which contributes to its unique interior. It also provides magnificent views of the town. This attic space has been converted into an two-storied apartment of over 90m2 accommodating up to 5 people. In order to preserve its architectural authenticity, no walls were built within the apartment, which is entirely open with the exception of a separated bathroom. 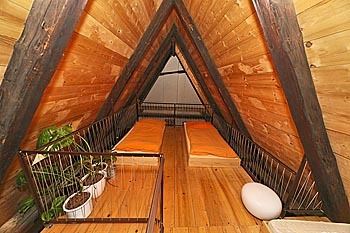 A bedroom with sleeping arrangements for 3 people is located on a loft. For 2 people two beds side by side are located on the main floor. 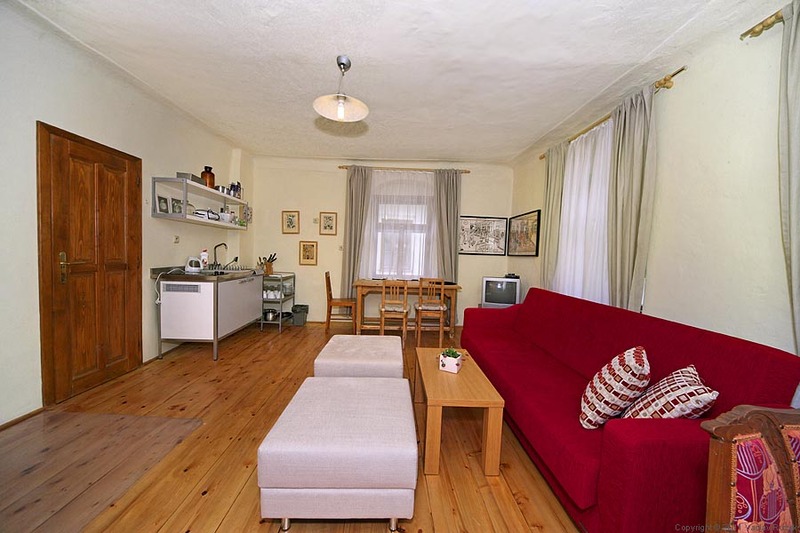 The living room is connected to the kitchen and is equipped with a sofa, a desk, a double-bed, a TV set and a stereo. 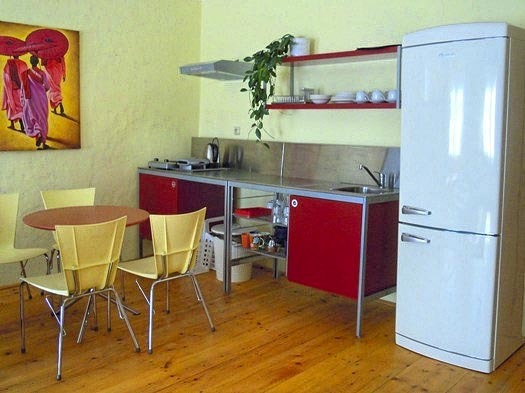 The kitchen is equipped with modern amenities, including a glass ceramic hot plate with sensor-based operation, a microwave oven, a refrigerator with a freezer, a kettle, and cooking utensils. At the table is place for 6 persons. 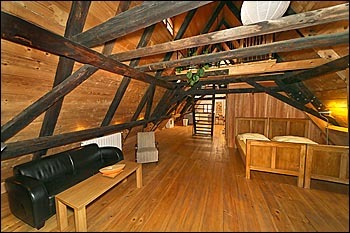 The ladder leading to the loft is original to the building. 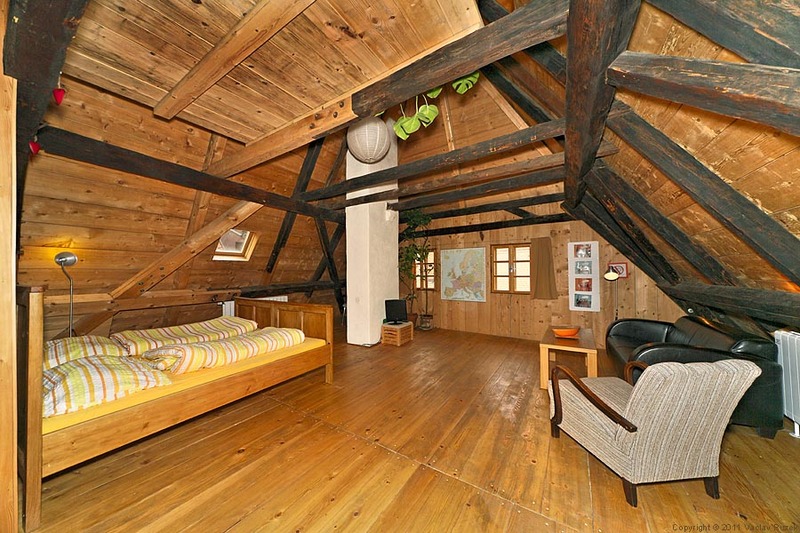 The bedroom is laid on beams. It is equipped with three low beds with grids. The bathroom and toilet have wooden flooring, walls and ceilings. 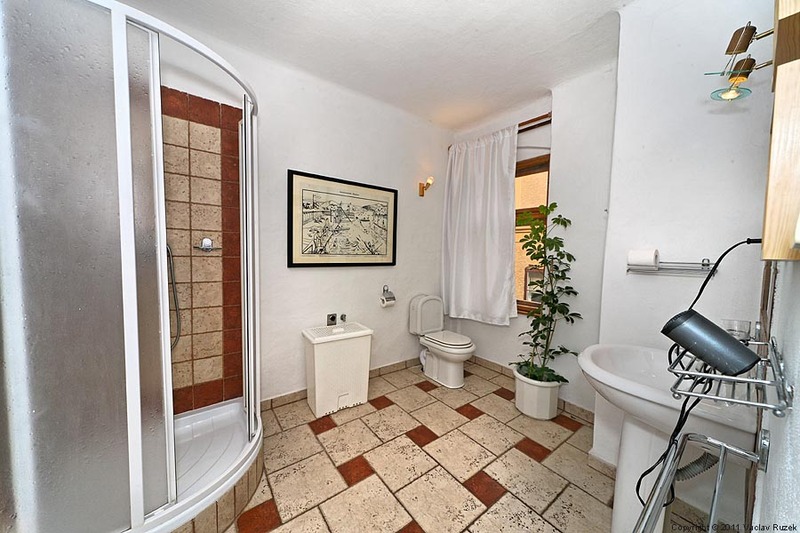 It is equipped with a shower, towels, washing machine, a towel-dryer and a hair-dryer. 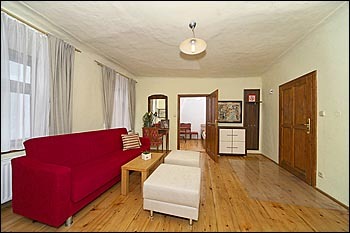 Apartment 2 is located on the first floor. 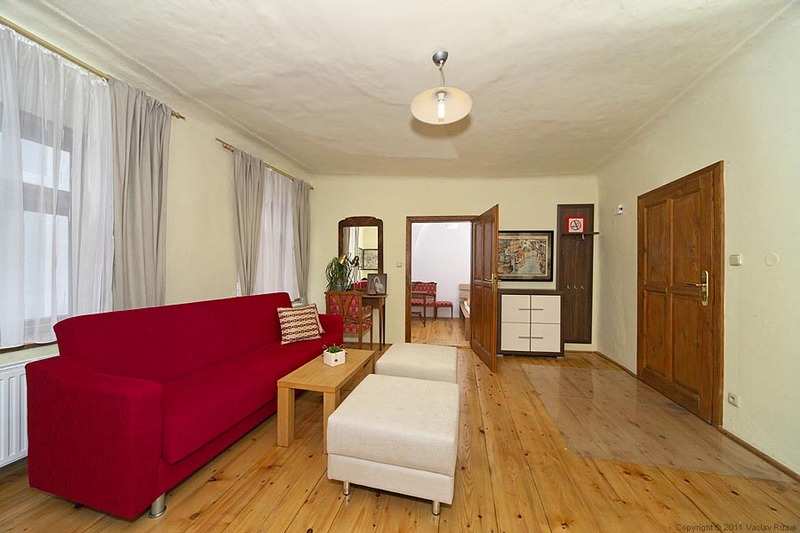 It is a newly reconstructed flat with space of 40m2. The flat contains living room with kitchen unit, bedroom and bathroom with toilet. It is modernly furnitured and suitable for 2 or 3 people. Small kitchen unit includes a glass ceramic hot plate, a refrigerator, a kettle, and cooking utensils. Dinning table for 3 persons. The living room In the living room is beyond the kitchen unit a folding out sofa (sleep for one person), a TV or a wardrobe. 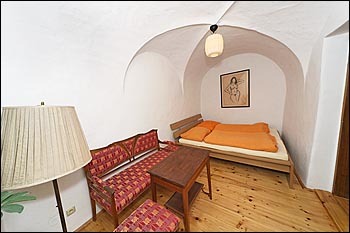 The bedroom is in a vault room. 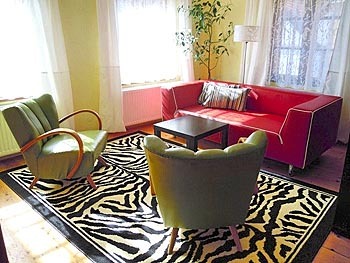 It is equipped with Queen bed in modern design, competed by an old chair and an old floor lamp. 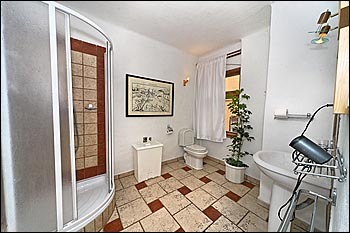 The bathroom and toilet are very spacious. 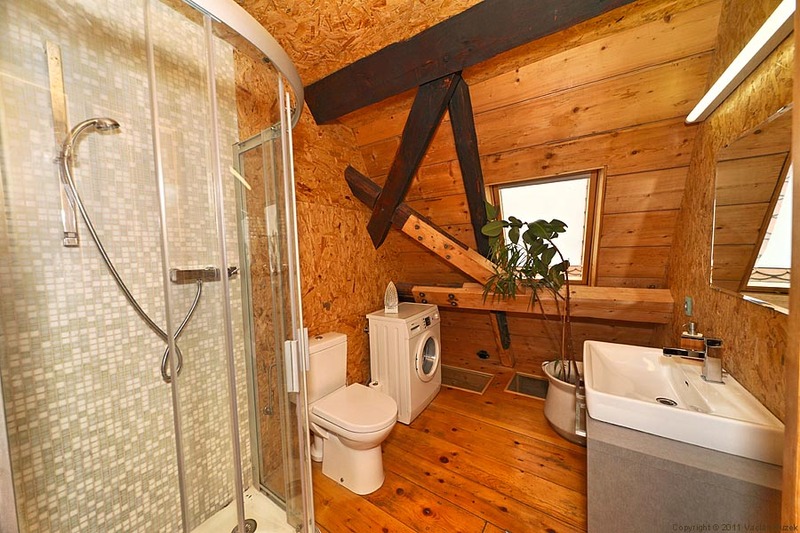 It is equipped with a shower, towels, a towel-dryer and a hair-dryer. Prices include VAT and all taxes, but do not include breakfast. 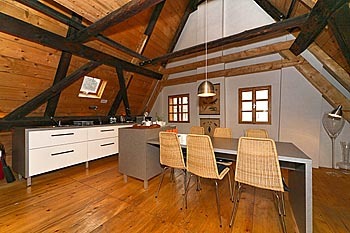 We offer discounted rates for long term stays.